Little Builders construction site fun for 26 year old children! 2 new scenes added. Drive the street sweeper and unload the truck crane! 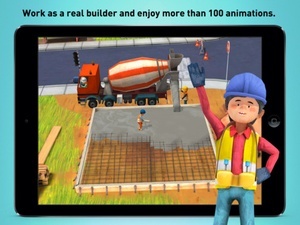 On our construction site your child can drive a digger, mix cement, roof a building, operate a crane, drive a street sweeper or paint a house. There’s so much to do here. 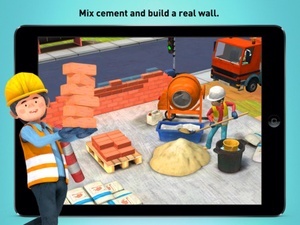 Our Little Builders dig, plaster, fill, paint and mix... And they need your children´s help. At the same time they can watch funny things happen, because on every building site there’s always something going wrong. Water suddenly bursts from a pipe, a builder falls into a hole or the wind blows the bricks away because the cement wasn’t dry yet. 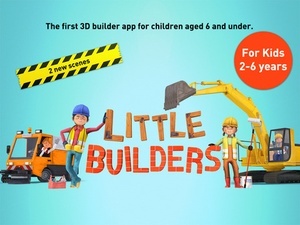 Little Builders is the first app for children aged 26 years that want to explore the world of being a real little builder. Depending on the child’s age, all animations and functions can run automatically or be controlled through a tap. 7 interactive scenarios contain over 100 interactive animations and surprises 1. Steer the digger, fill the truck and repair the water pipe. 2. Paint the house in different colours and unload the removals truck. 3. 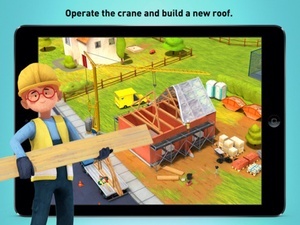 Operate the crane and build a new roof for the house. 4. 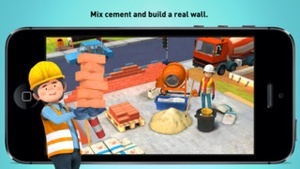 Mix cement and build a real wall. 5. 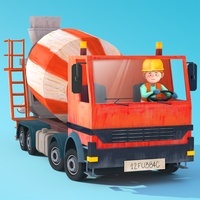 Operate a big cement mixer and concrete a large area. 6. Drive the street sweeper and clean the dirty road. 7. Unload the crane truck and make sure it leaves on time. Amazing graphics, great animations, a userfriendly interface, no text and no inapp purchases. 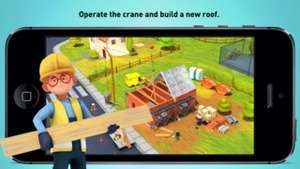 Download now and start building! Please also check out our other great Apps for kids is a fantastic storybook app for the iPad and iPhone. 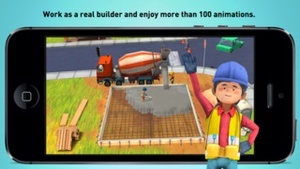 It features beautiful, fun, interactive animations of over 20 animals, and it’s bound to be a big favorite for kids and animal lovers of all ages. is the perfect App for a daily gotosleep ritual with lovely animals, sweet music and great narration. is a singalong songbook with more than 100 interactive elements in 3 songs and the little fox music studio where you can record your own songs. If you experience any trouble with the App or have any questions or comments, please don't hesitate to contact us any time contact@foxandsheep.com. We´d love to help you out. Please also mention your device version and your iOS version. Please also visit our website www.foxandsheep.com for more information and support. 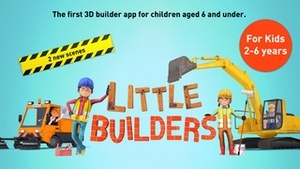 Check these links to find your download for Little Builders for & iOS or for your device iPod TouchiPadiPhone. 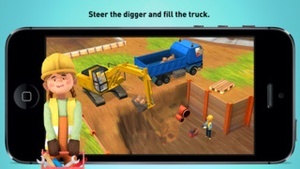 The app Little Builders is compatible with te following devices.